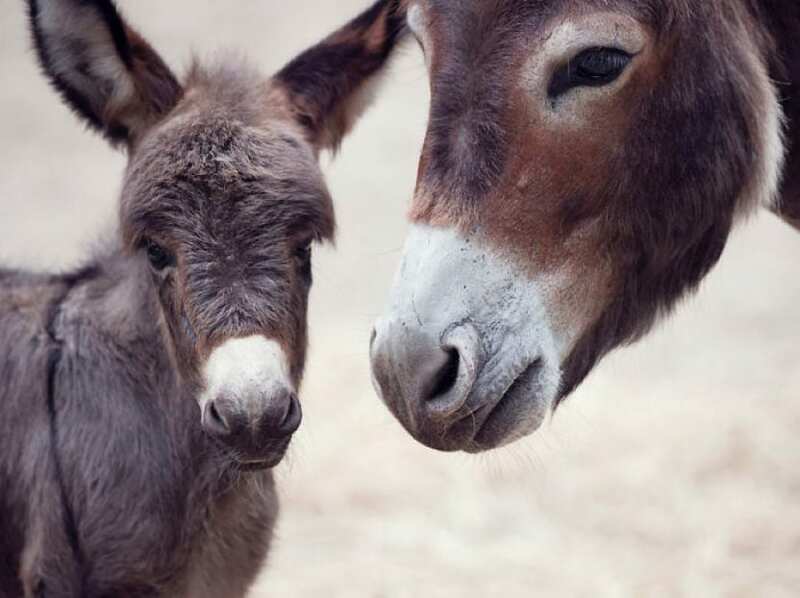 Our mule just had a baby! How long should the colt stay with his momma before he is weaned? 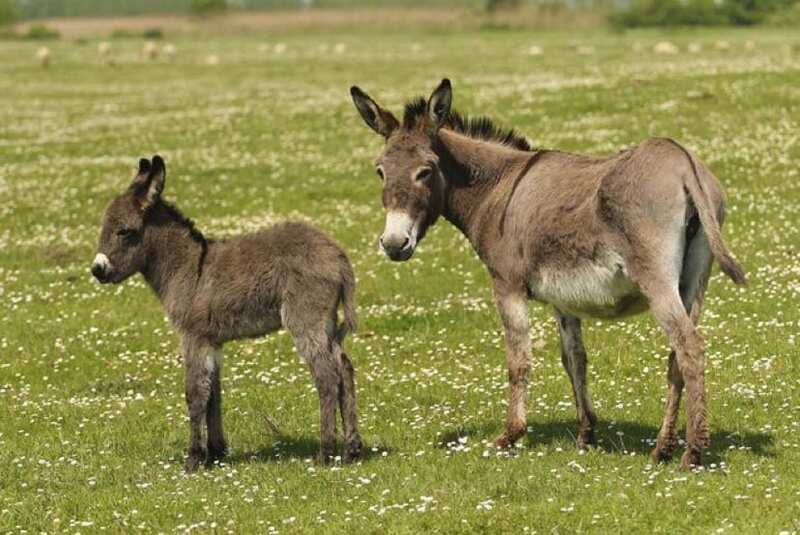 Mules and donkeys are usually pregnant for 11 to 13 months, generally around 12 months. When the foal is born, it will be on its feet within the first hour. Equines are fairly developed when they’re born – the baby can walk and run on its first day. An equine foal is usually able to eat adult food, like grain or grass, when they are around a month old, although they don’t get much value from it. The mare’s milk is at peak nutritional value for the first six weeks after foaling. By the time the foal is three months old, he isn’t getting a great deal of nutrition from his mother’s milk, although he will nurse as long as they are together, mostly for comfort. 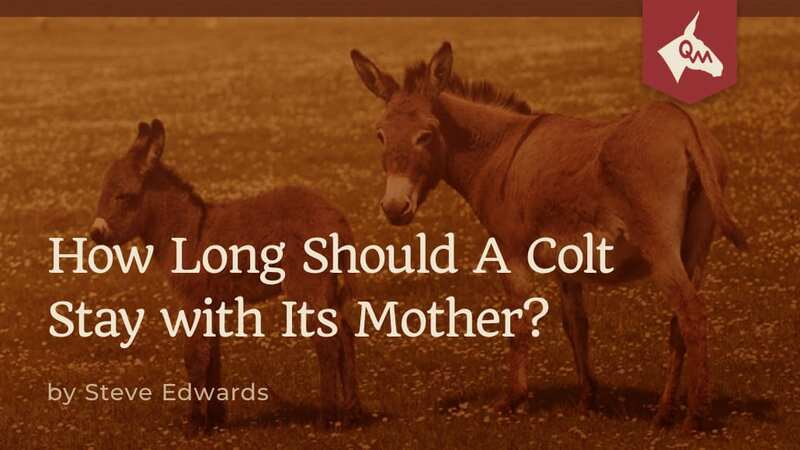 So when should a colt be separated from its momma? My experience teaches that it all depends on the individual animal. When a jack’s testicles have dropped they should be castrated and have their wolf teeth taken out – and then be separated from their mother. These jacks have a much better mind when it’s done early. A jenny, it’s going to be very similar. My max time for allowing them to stay with its momma is six months. My minimum time with their mother is three months. 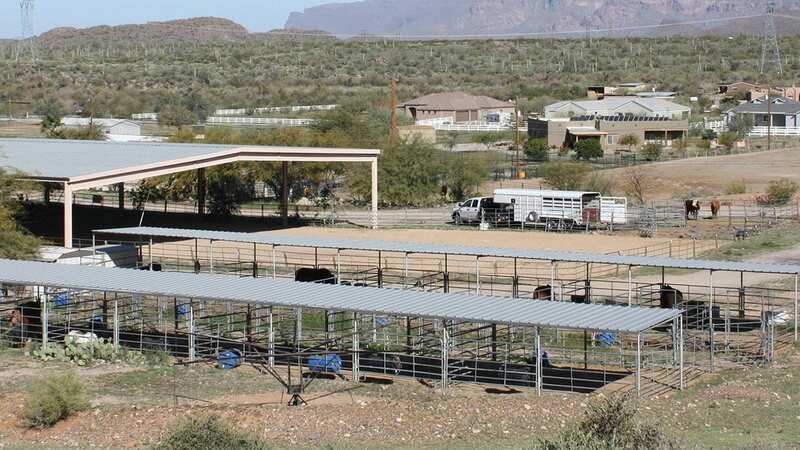 For weaning to be the least stressful, your colt should meet certain benchmarks. He should be at least three months of age, preferably between four to six months old, and in good overall health. He should be strong and healthy and have a good appetite. Don’t wean the colt from its momma when other stressful things are happening, such as a visit from the vet or blacksmith. 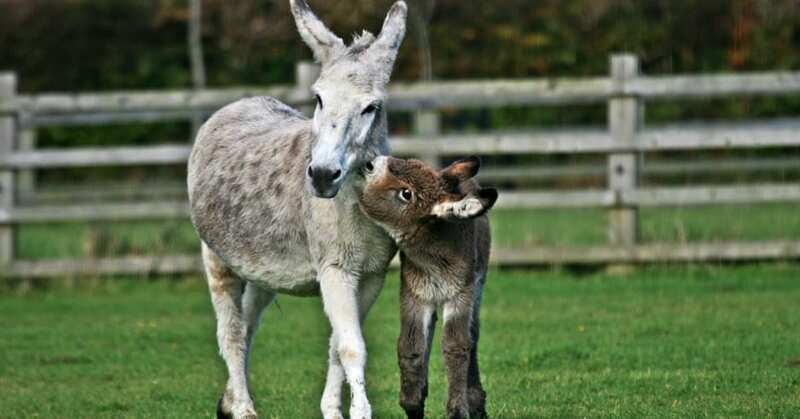 Don’t deworm or vaccinate when you wean and don’t introduce new mules or donkeys to the momma and baby. Make sure they have their own pen. It’s okay for the baby to be close to momma, but they need their own pen and eating their own solid food. There might be an exception here or there for one that is ill, but the sooner you get them away from the mother, the better-quality animal you will have and the better your training will go; you do want to start training right away. Don’t wait. Get started with training and make sure when you get them away from momma that you are training regularly.